10.9" x 13.6" stitched on 14 count. 8.4" x 10.6" stitched on 18 count. 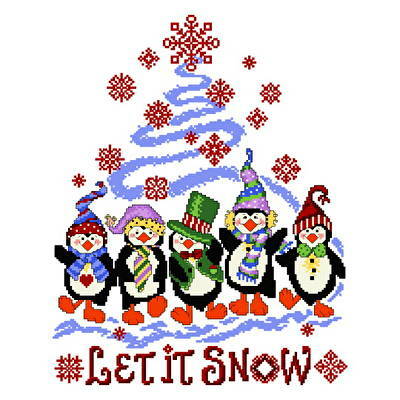 Penguin Holiday cross stitch pattern... What a joyful design to greet your family and friends during the holidays.